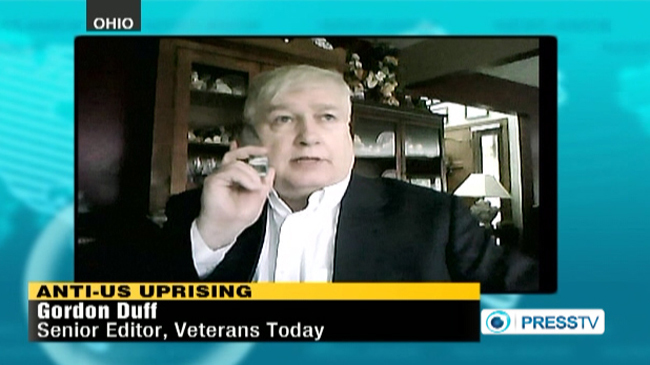 First hour: Gordon Duff may be the most prolific independent journalist out there. (“Out there” is right… some of his stuff is pretty wild.) His latest epistles concern anti-Semitism, Chuck Hagel, and Lord knows what else. Antigravity, UFOs, and peace in the Middle East, anyone? 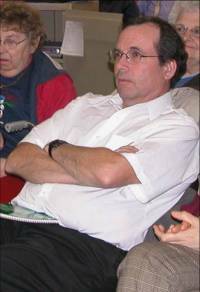 Second hour: Gordon stays for the first segment; then at 4:20 Dr. Bob Reuschlein comes on with a different view of Climate Change (the topic covered during the second hour of Friday’s show). Whatever became of Mr. Duff's 'Nazis on the Moon' story? (Did he ever figure out that was probably a still from a Finnish movie called "IronSky"? I have no idea! Must have missed that one. I did see a "Nazi UFOs in Antarctica" from Ingrid Zundel at VT though. Was listening to your Monday broadcast with Bob Reuschlein. I was impressed by his honesty! How about the continental drift factor? Could it be that the dinosaurs were living on a continent that was much further SOUTH than where their remains are found today? What scientists seem to ignore completely, is the effect of the earth's core generating heat of its own. They keep claiming that the earth's core is COOLING … but still, we see substantial volcanic activity! For 4 billion years now, the earth's core is supposed to have been "cooling gradually". Just how the heck HOT was it in the beginning then? LOL. A cooling sphere -cooling from the outside- will crack on the surface. It won't shrink. A cooling sphere -cooling from the inside- will shrink but create a "vacuum" inside of itself. That means there could be no volcanic eruptions if the planet is shrinking. Scientist mix up these two concepts … claiming that the earth's core is cooling, causing the sphere to shrink and therefore, 'squirting' hot lava out of volcanoes from increased pressure caused by sphere shrinkage. This is impossible. Since the earth is cooling from the outside first, it will crack the crust … but then, if there is STILL pressure inside, causing eruptions, it means only one thing: the core is GENERATING HEAT. So, exactly what is this heat generator? Well, it's almost surely nuclear reactions caused by molten nuclear material drifting together in the core, into pools that start reacting. Under the extreme pressure, there can't be any explosions but rather, just pockets of very high heat. This increased pressure then gets released through volcanic vents, giving us our volcanic eruptions. "satellite data shows the climate system starting to shed energy more than three months before the typical warming event reaches its peak." In other words, heat loss from the earth INCREASES before the recorded temperatures actually start rising. "The satellite observations suggest there is much more energy lost to space during and after warming than the climate models show," Spencer said. "There is a huge discrepancy between the data and the forecasts that is especially big over the oceans." Aha! The oceans put out the heat first! Sure, they WOULD … if they were being heated by the earth's core …. wouldn't they? It's WATER. Water, water, water determines our temperatures; not the atmosphere. The atmosphere is simply an extension of the oceans through the conveyor system of winds from the ocean.